The episode commences in outer space where we see a comet approaching Earth. Meanwhile, at the factory, Jeremy is sending a program to Aelita, who is piloting the Skid. This program will allow them to localise bio-signatures and may be able to allow the group to find William where XANA is keeping him and bring him back. Jeremy watches a reporter describing the hypothetical impact of a meteor like the one passing close by Earth would provoke an explosion a thousand times the strength of the Hiroshima bomb, causing earthquakes and tsunamis that would destroy the world’s major cities, block out the sun and cause the mass extinction of the world’s flora and fauna including the human race. Aelita detects a presence on the network. She thinks it could be William, or…her father! The Skid sets off after it. During this time, Ms Hertz explains the activity, aided by Jim who indicates how not to hurt yourself on the pointy end of the poles. Though seemingly common sense, a dressing on the teacher’s palm reveals that he hurt himself in that way. Unfortunately, XANA activates a tower and takes control of a military satellite. It fires on the comet which breaks up into smaller meteorites, which head towards Earth…more precisely, for the school. Jeremy detects the tower! 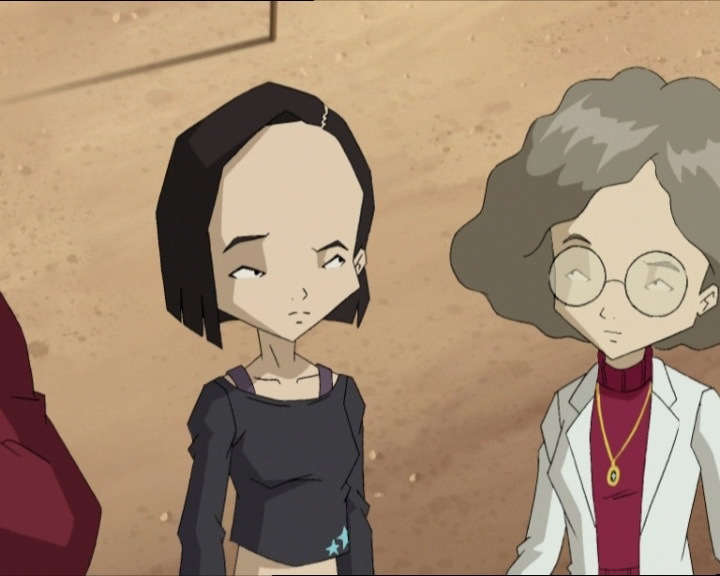 Aelita, Odd and Ulrich are forced to make a U-turn to go back to Lyoko. The TV reporter on the channel Jeremy is watching then announces that the comet exploded in mid-flight, but then corrects herself, saying that it was all a joke, after receiving an order in her earpiece. She ends up saying farewell to the spectators, unconvincingly mentions that there will be more news later and goes off air. Jeremy recognises the problem and launches a search on a highly customised search engine (KIWI), quickly discovering that the comet exploded because it was shot by a satellite. He calculates exactly where the largest meteorite will land, as it won’t break up in the atmosphere, and finds that it will destroy the factory. 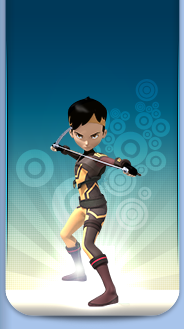 The Lyoko Warriors understand that they’re in a sticky situation. Jeremy stoically programs the co-ordinates for the Return to the Past in case of emergency. At the school, Yumi, exasperated by her associates’ experiments is almost happy to learn that an attack has been launched. She quietly sneaks away. However, arriving at the manhole, when she learns from Jeremy about the nature of the attack, she stops to think about Hiroki. She doubles back, ignoring Jeremy’s objections. On the network, the situation worsens: XANA imprisons the Skid in a firewall. Aelita can’t get them out of it. 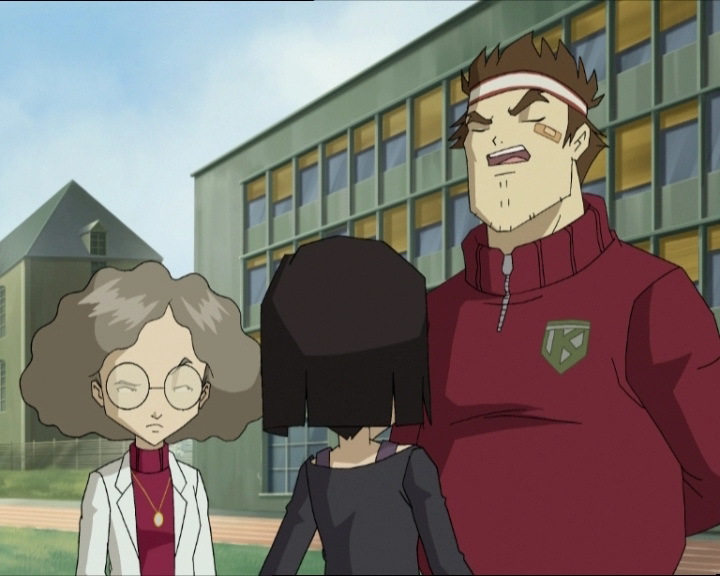 At the school, Yumi tries to tell Ms Hertz that she was told the comet exploded and they need to evacuate the school. Not able to talk about Jeremy’s research, she doesn’t have any proof to convince the two teachers. Luckily for her, the first meteorite fragments start to fall. Ms Hertz takes Yumi’s side and tells the principal that the school must be evacuated. 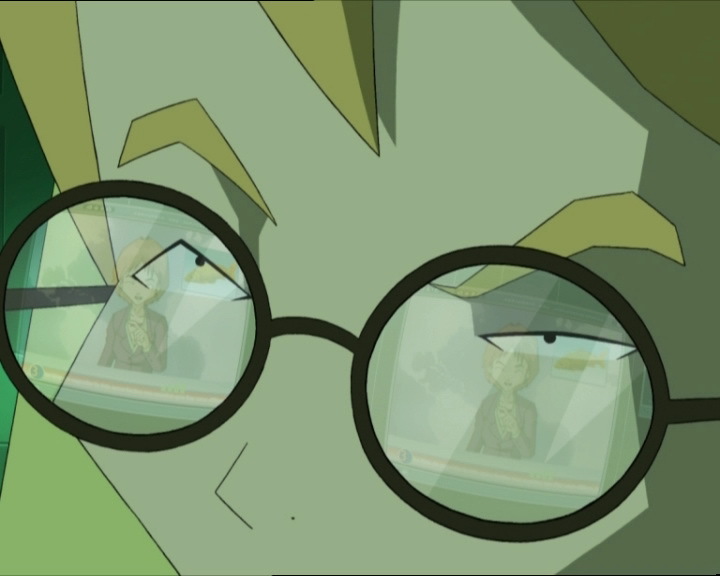 In the network, analysing the firewall, Aelita and Jeremy find its weakness and the Skid sets off for Lyoko again. The situation gets better, but the clock is still ticking. Believing his friends won’t arrive in time, Jeremy prepares a plan B. He’s convinced that he can take control of XANA’s military satellite, and use it to disintegrate the largest meteorite heading for the factory. He then enters the military network. At the school, the meteorite rain intensifies and starts to shake the ground, sending the students into a panic. Yumi receives a call from Jeremy. He asks her to go connect his laptop to the school antenna. Yumi heads off, without realising that she’s being followed by Johnny and Hiroki. The two intruders turn out to be very useful, as they unlock a security door and allow Yumi to get onto the roof. 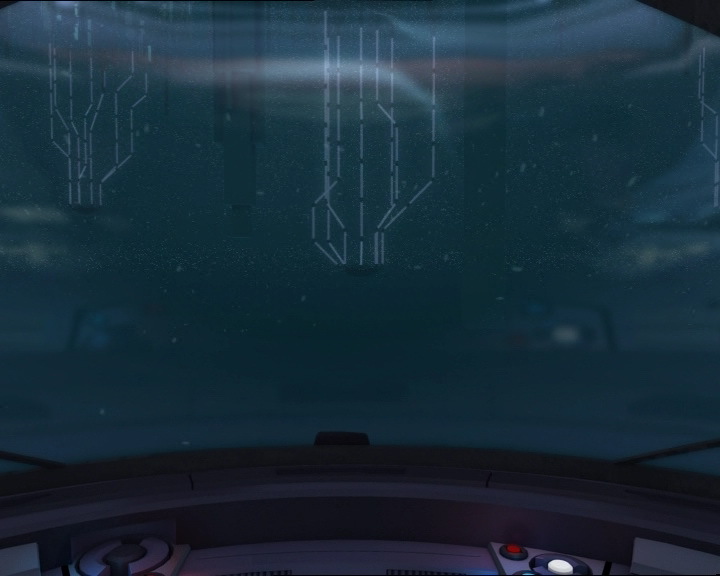 On Lyoko, Odd, Ulrich and Aelita arrive and alight not far from the tower. It’s guarded by a Kankrelat. 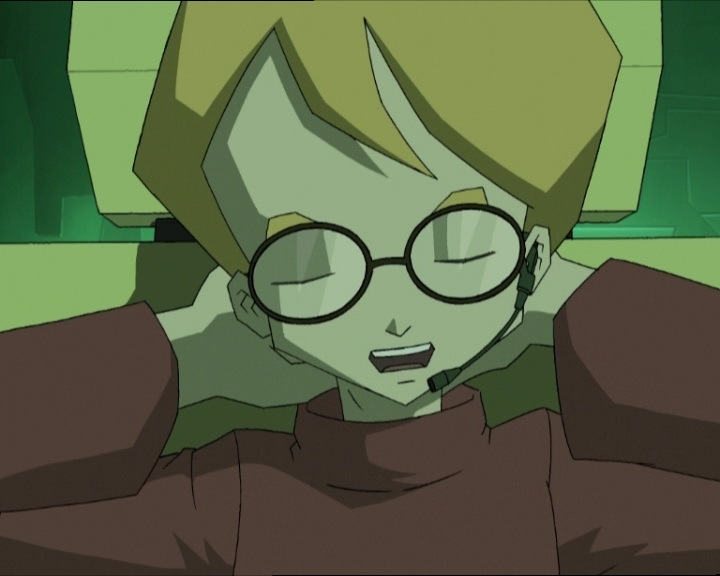 The Lyoko Warriors are pleased, sure they will be victorious, but their spirits sink again when William and three Tarantulas appear around the tower. 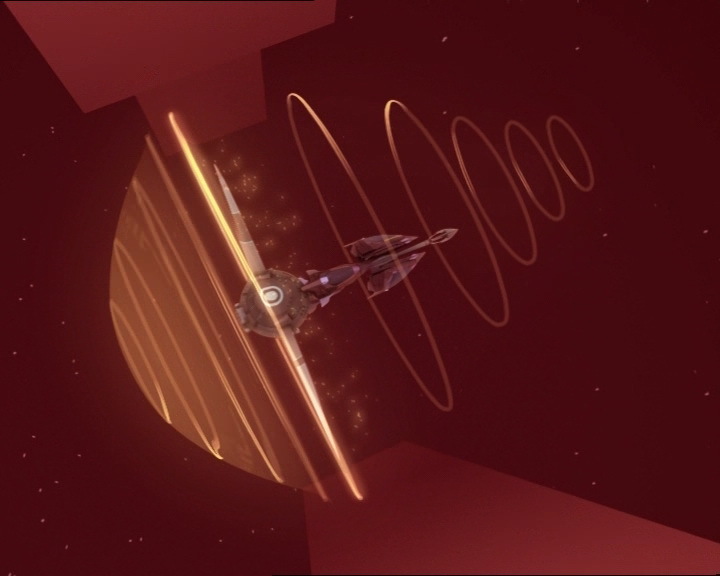 Ulrich and Odd try to use force, but without success; they face a barrage of lasers. The Tarantulas seem in good shape, because William does nothing but watch, stationed in front of the tower. Yumi connects the laptop to the antenna. Jeremy can now begin a digital duel with XANA. He needs to get a move on, because his friends are being forced back from the tower. Unfortunately, it’s too late. Yumi can already see the meteorite. Jeremy realises that XANA is too perfect… His human skills just don’t compare. 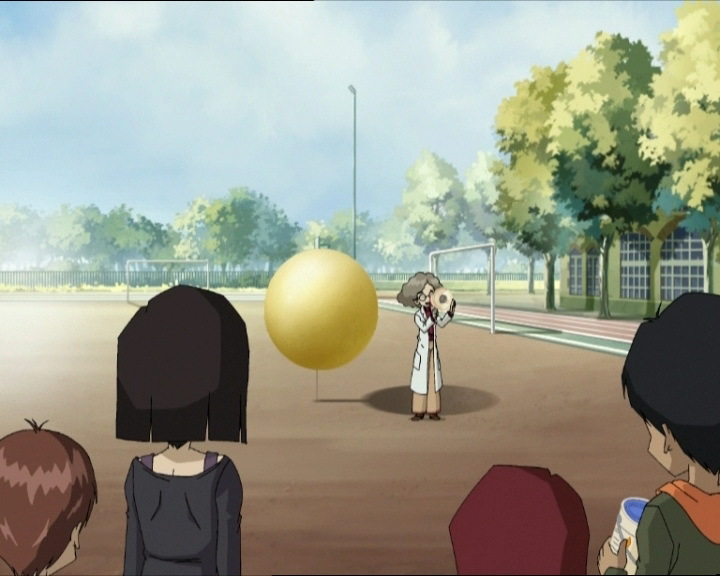 On Lyoko, Aelita takes a disconcerting initiative. She orders Odd to devirtualise her. The catboy does so. William surrenders the fight and leaps into the Digital Sea. On Earth, the meteorite is pulverised by a shot from the satellite. Aelita’s intuition bears its fruit. Since XANA wants to capture Aelita, it can’t destroy the factory…if Aelita is in it! Therefore, XANA stopped the attack itself. While XANA deactivates its own tower and devirtualises its Tarantulas, Jeremy launches a Return to the Past. - Return to the past to undo the meteor shower. 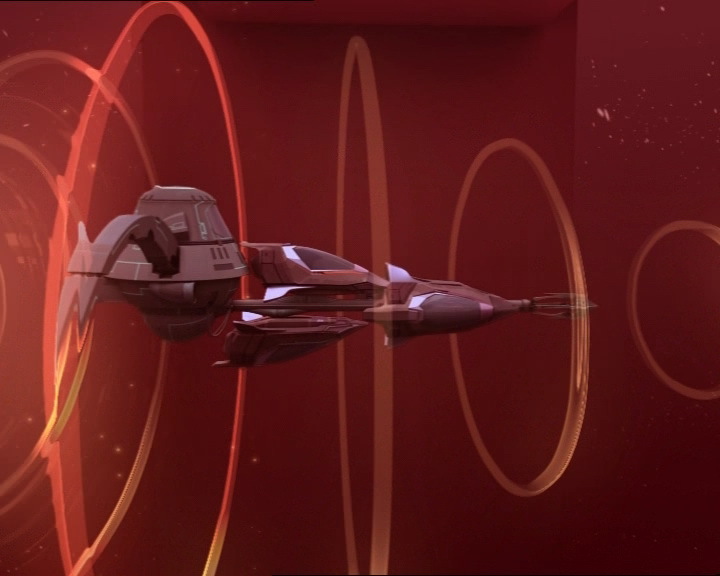 - Jeremy programs an improvement to the Skidbladnir’s sonar that allows him to detect DNA codes within the network to find those of William and Franz Hopper. - First appearance of Mrs. Hertz’ new outfit. 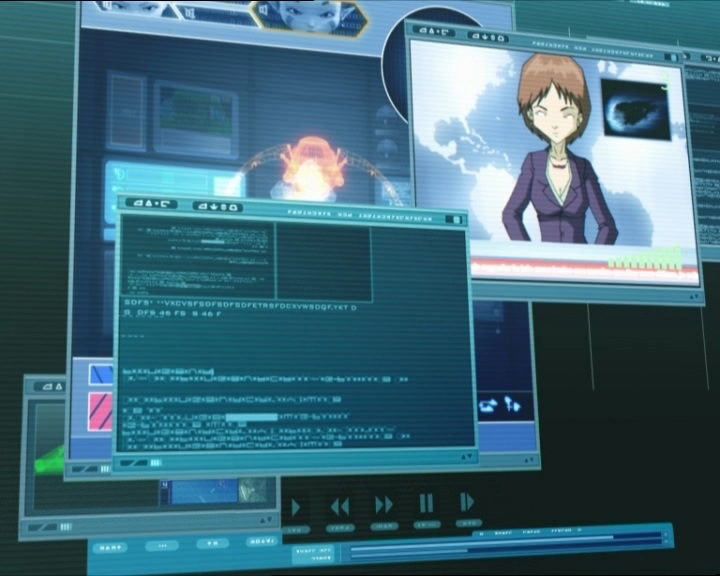 - Discovery of a firewall on the network. - First time Ms Hertz calls the principal by his first name. - Ms Hertz knows that Johnny usually talks to Hiroki a lot. - Hiroki knows how to pick locks. - New mention of Pedro, Ms Hertz' love interest, by Jim (first mention was in episode 62 “Nobody in Particular”). Also another mention to the “herbal tea” Ms Hertz seems to drink. - The factory microphone cable appears at the moment when Jeremy says “You think XANA understands that?”. - The year 6 students are the same as in seasons 1 and 2, despite a new school year starting since then. - Aelita's earring is on the wrong ear at the moment when she says “Got it, Jeremy”. - Hiroki and Johnny are said to be in year 5 in this episode, and Yumi in year 9, but they are actually in years 6 and 10 respectively. Kadic doesn't even have a year 5 class, only years 6-12. - Final appearance of news anchors/reporters. - First episode starting in the Digital Sea. - First time we see XANA devirtualise its monsters. 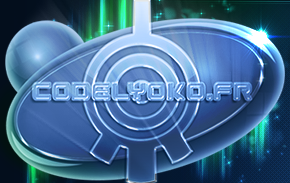 - Second time Odd's stomach growls on Lyoko. 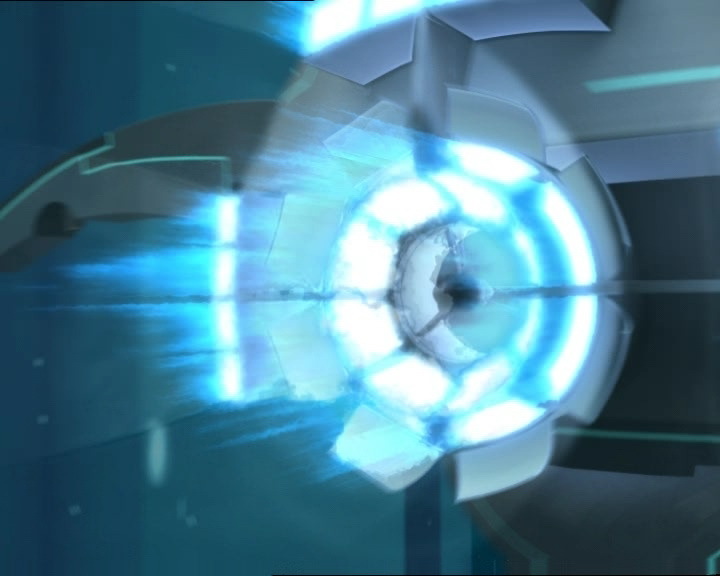 - Third time XANA uses the satellite antenna at the television station to launch an attack. - The access code to take control of the military satellite is 834235! - New appearance of the satellite from episode 9 “Satellite”. XANA takes control of it much more quickly this time. - Only terrestrial attack our heroes cannot stop. XANA stops the attack itself. - As in episode 9 “Satellite” this episode shows that Kadic is situated in France, in the Parisian region. April Fool's Day is the first of April, on which until midday it is common for people to play jokes on one another. We see a fish pictured when the reporter says this because in France the day is known as Poisson d'avril (April's fish), and it's a common joke to stick a paper fish on a friend's back to see how long it takes them to notice it. Odd: Ah, the return of our tall, handsome hero! I’m sure Ulrich’s gonna be thrilled to have his old rival back! Ulrich: Odd! Sometimes you’re really a bit too much! Odd: Only sometimes? Oh no, I think I must be slipping! Jeremy: Speaking of Yumi, I wouldn’t mind being in her shoes today! Ulrich: Are you kidding? Helping run the outdoor science lab with 5th graders isn’t exactly her idea of fun! Jeremy: Oh come on, I bet she’s loving it! Ms Hertz: Are there any questions? Johnny (yelling): Could I be on Yumi’s team, huh ma’am?! Ulrich: Your father? Well what’re we waiting for? Let’s go check it out! Johnny: Too cool! Guess what? We get to do planet Earth! Yumi: Yeah great, this is my lucky day. Jim: Now about the poles, I’d like to call your attention to an important technical aspect: they have two ends! One is pointy and sharp, that’s the one that you put into the ground. You try to do it the other way, you might hurt yourself pushing on the pointy end! Sandra Dialo: Come on, you’d have to be an idiot not to figure that out! Jeremy: Ugh, why now? Why can’t we just go on an exploratory mission in peace for once? Well XANA, what do you have in store for us this time? Johnny: Look Yumi, the moon is yours for the asking! Haha! Yumi: Yeah right. Hiroki, doesn’t the Earth have another name? Hiroki: The blue planet, yeah, I know! But I was using a little imagination, like if there was a Mars attack! Hiroki: Forget it, imagination and poetry are wasted on her! Yumi: Hello? Yes, Jeremy? An activated tower? Wow, thank you, XANA! Jeremy: Huh? What’re you talking about? Yumi: Oh, nothing! On my way, right now! Jeremy: What is going on around here? Reporter: …following a shot from a satellite…uh…uh…uh, for reasons yet unknown… Correction! Uh, international observatories have now all confirmed that all this well with the comet, and it will simply crash on erm…uh, uh, nowhere! As you know, it will pass very far from Earth! And anyway we could always obliterate it with military satellites. …which of course don’t exist! This is just a…a little April Fool joke from our producer! So that’s it, farewell- I mean…more news later! Hahaha! Jeremy: Uno, it’s not April. Dos, something is going haywire. Hiroki: Look, I painted over it with blue, now look at this awful colour! Yumi: Hiroki, I want you to go home right now, ok? Take Johnny with you, and I’ll…I’ll meet you there later! Hiroki: What? But what about Ms Hertz’ class? Yumi: Hiroki, you heard me! Hiroki: Hey, what’s the matter with you? You got in a fight with Ulrich again, huh? Jim: By the way, Suzanne, how’s it going with Pedro? Yumi: I know this may sound crazy, but a meteorite is going to hit right here where we’re standing! Jim: Hold on now, Ishiyama, I told you eating all that raw fish was no good for you! Jim: But I think she overdid it with the mint tea! Odd: My breakfast wants to come back up to say hello, but otherwise all’s well! Hiroki (seeing his sister kicking the door): Security door versus Yumi’s ankle…I’ll bet on the door! Hiroki: We know how to open it, heheh! Yumi: Shut up, Hiroki! I’m sick of hearing your lies! Hiroki: But first you gotta tell us what you’re up to! Yumi: Oh, what have I got to lose? A meteorite is going to crash on the school and if I don’t connect this computer to the roof antenna now, then Jeremy won’t be able to access the satellite that might change its course! Understand?! Hiroki: A meteorite? Not bad…now tell us what’s really going on! 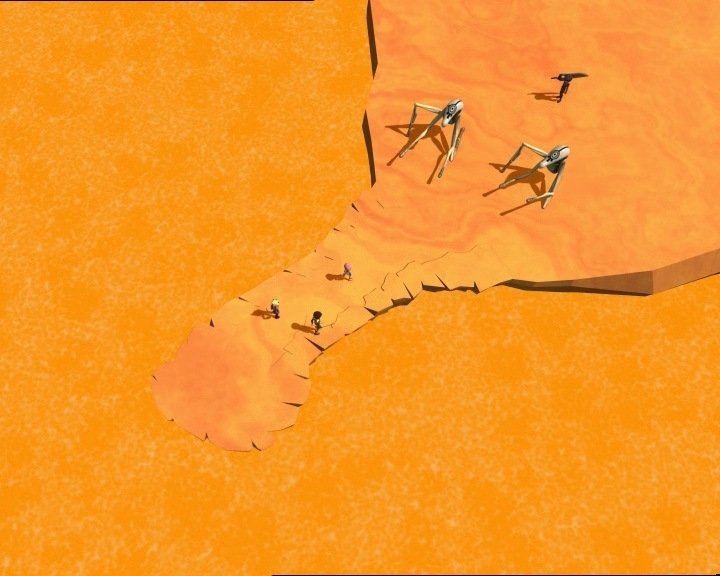 Odd: Yeah, well this is the Desert! Yumi: Great, how am I going to do it without a knife? Jeremy: Now let the duel begin! Aelita: I’m forcing XANA to make a choice! Aelita: Hurry Odd, devirtualise me! Odd: Huh? What, are you crazy? Aelita: Do what I say. Aelita: To win, sometimes you have to know how to lose. Jeremy: You think XANA understands that? Yumi: Great shot, Jeremy, real bull’s-eye! Jeremy: It wasn’t me, that was XANA! Looks like he gave up on his plan! 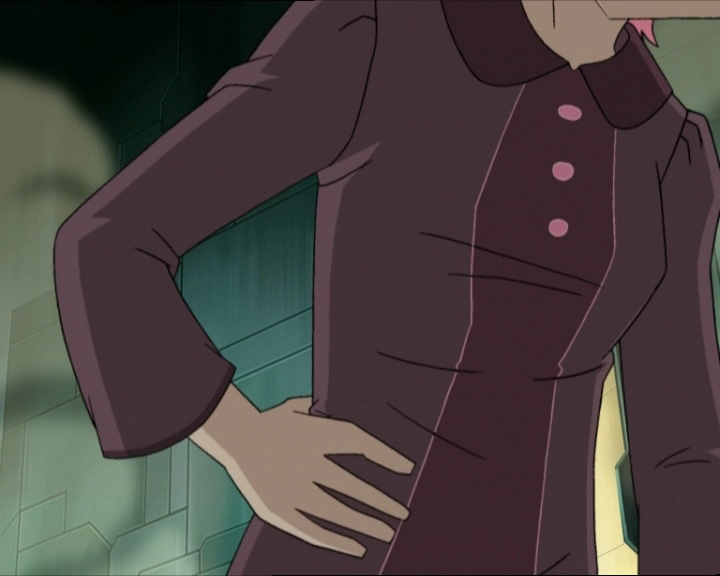 Aelita: XANA wanted to capture me more than he wanted to destroy the Supercomputer. With me back on Earth, he couldn’t do either of them! Hiroki: Well Yumi, don’t the brats get a thank you? Yumi: You guys really helped me a lot this time. Hiroki: Yeah, I’m not gonna let you forget that either! Yumi: Oh, give me a little break, huh? Aelita: See? Your brother’s not that bad after all. Yumi: Because now, I know it’s useless keeping the door locked to my room.